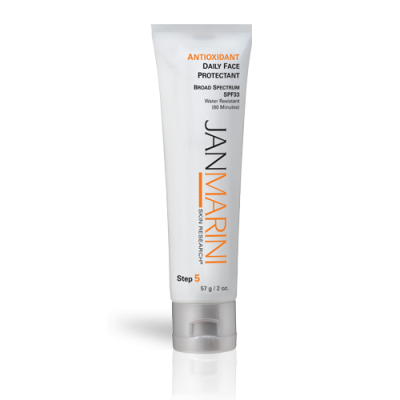 May is skin cancer awareness month and to support this we highly recommend applying a good Antioxidant Daily Face Protectant – we love Jan Marini’s SPF’s as they are the ultimate in wearability! Below we will explain the benefits of both. With the expected hot weather, one particular thing is very important – SPF, which stands for sun protection factor. Many people in Ireland have fair skin, freckles, moles, go red and burn very easily. So SPF is vital, not only to avoid the discomfort of sunburn, for the protection of your skin and in turn for protection of your health. As shocking as it is, skin cancer is the most common cancer in Ireland. But what about SPF all year round? We don’t need it most part of the year because we are covered up and there is very little sunshine, but our faces are exposed to UV rays every single day. The next time you are purchasing an SPF make sure it has broad spectrum protection which protects against both UVA & UVB rays. UVA rays have the same intensity all day and all year long. Weather does not affect UVA, so there will be the same amount of UVF exposure in wind, rain and snow as the UVF exposure on a hot summers day. The rays can penetrate clouds and glass. UVA rays are also responsible for breaking down collagen and elastin fibres – so UVF plays a major part in skin aging. SPF should become an important step every morning as part of your skin care regime. Some foundations contain them but they can cause flashback in photos giving your face a very white appearance, so people can apply SPF over their moisturiser and underneath their make-up. A critical factor with any sun protection is people’s willingness to apply the product on a daily basis. If you are very active and outdoors a lot it is crucial to do so and help to prevent the early onset of wrinkles and sagging skin. So next time you are applying your SPF in the morning, remember it is the best anti-aging product you will ever use. What we love about both products is that they are good anti-aging SPF’s which hydrate your skin and do not block pores. 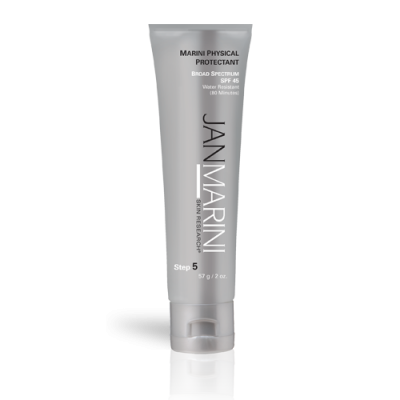 A sunscreen you will love to wear and consistent favourite with JMSR users! The Antioxidant Daily Face Protectant provides broad spectrum UVA and UVB protection to decrease the risk of cancer and early skin aging caused by the sun. This invisible, hydrating and weightless sunscreen feels amazing and smells great for the ultimate in daily wearability. Fast-absorbing and cosmetically elegant, the Daily Face Protectant features microscopic particles for additional oil control, making it perfect for wear with or without makeup. Enhanced with antioxidants phytomelanin and beta glucan 1,3. Antioxidant Daily Face Protectant SPF 33 helps reduce and address damage caused by sun exposure. The Physical Protectant is a block – it gives more protection than the antioxidant face protectant (chemical SPF) but doesn’t provide as much moisture as the antioxidant SPF The Physical SPF has a slight tint to it, which gets rid of that white chalky look that most physical SPF’s give the skin. It’s more mattifying on the skin. 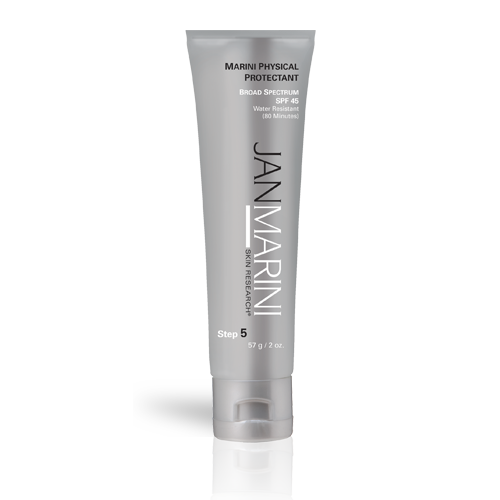 Jan Marini Physical Protectant also combines powerful anti-oxidants and additional anti-inflammatory causing no white, chalky texture. The Physical Protectant is an SPF 45 but under EU cosmetic law it has to be reduced to a 30 as it is illegal to sell anything rated between an SPF 30 or 50. A bottle usually lasts me 4-6 months so would last you through the summer. Head over to our Facebook page and enter our May competition to be in with a chance of winning your choice of either of these fantastic Jan Marini SPF products.